Garden Buildings Direct only uses the best quality materials for our buildings. As standard we use mineral felt for the roof coverings, solid sheet material for the floor and roof construction, styrene for glazing and European Softwood for our boards. 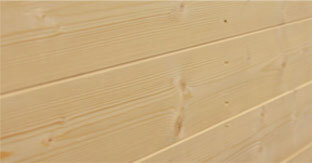 Cladding is the material that makes up the body of the panels used the design and construction of our buildings. By choosing which type of cladding you want for your building you will alter its appearance, vary the price and your overall range of choice of buildings when considering which product to buy from Garden Buildings Direct. 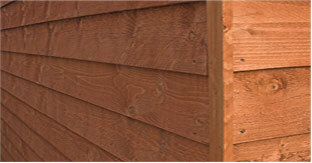 Tongue and groove construction is a traditional yet superior type of cladding designed to give a smoother finish, enhanced look and most importantly secure cladding, making it more resistant to the weather. The boards are cut with a groove at the lower edge and an exposed edge or tongue at the upper edge, which tightly fit together to create an interlocked board for strength and rigidity. The timbers on an yverlap panel lay on top of one another at one edge, and unlike the smooth feel of the tongue and groove builds the rustic overlap cladding gives the building an appealing traditional appearance. 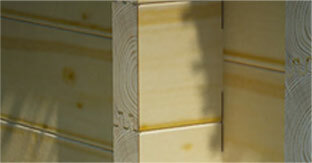 The aesthetically pleasing broken line of the edge of these boards help to make the product look more at one with nature, taking away a level of uniformity found in other construction techniques. Log Cabins use a construction technique similar to a 3-D jigsaw, layering blocks of wood that slot together, very much in the same way as tongue & groove construction, to form the walls of the building. The interlocking timbers coupled with substantial framing ensure that the buildings using this technique are both stable and rigid, and with a superior finish that screams quality. 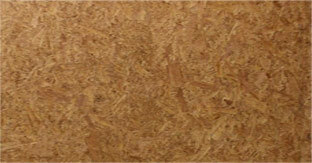 Solid Sheet Material is used in roof and floor construction. It is superior to ply, consistent with no distortion and no de-lamination. Solid sheet material makes the board rigid so there will be no more splits or sap pockets, and its strength allows for improved efficiency within our construction techniques, which is passed on to the customer as it allows us to reduce costs. The BillyOh Green Mineral Roofing Felt is our premium roofing felt, which is used on all of our premium BillyOh range buildings such as the Greenkeeper Apex and Workshop, providing superior roof protection and durability. 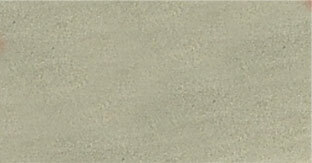 Mineral felt is a traditional material that helps finish off the look of our building range. It is tough, water-proof and easy to utilise. We also use black sand felt on some of our budget buildings to reduce costs for our customers even further.